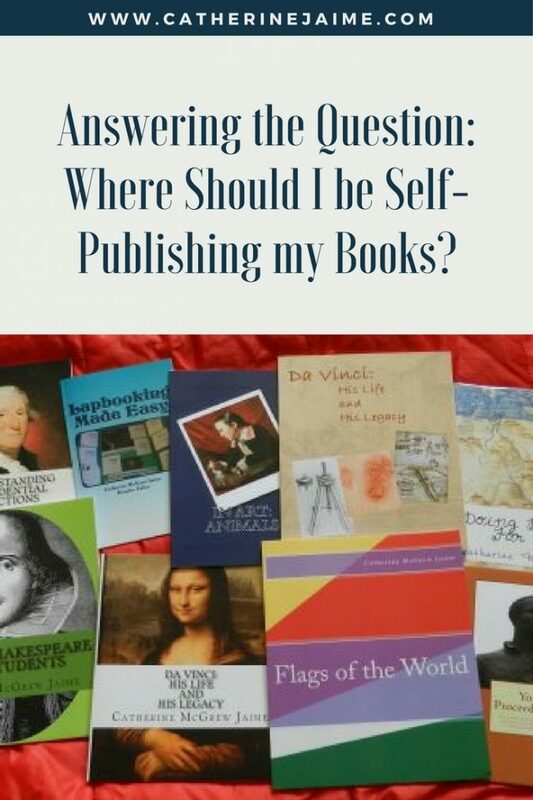 Answering the Question: Where Should I be Self-Publishing my Books? In upcoming posts I plan to address all three of my biggest passions beyond my family and my faith (writing, history, and travel). But today, let’s start with a particular subset of my passions that I get questioned about often – self-publishing. Because I have written and self-published so many books for so long, I hear questions about it again and again – twice this week in fact. In general the question goes something like this: “What suggestions do you have for writers for publishing alternatives?” Or it might be “I have a book written, now what?” In answer to these and related questions, I’m going to share some of my favorite self-publishing options. After many years of writing, I started publishing on-line in 2010. 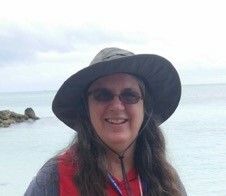 In the past seven years I’ve put together almost 400 e-books of various sizes on CurrClick.com, a site dedicated to homeschoolers, and over 200 paperbacks through Amazon’s publishing arm, CreateSpace.com. So it’s safe to say I’ve got more than a bit of experience with such things! I’m going to start this post with the assumption that you’ve already written your book and had it proofed and edited properly. Those topics might be an entire post by themselves at some time in the future. Here all I’ll say is, you have to do both before publishing your book(s) – writing and editing. You don’t have to pay tons of money for the editing (or any other portion of this publishing journey), but one way or another, it needs to be done. CreateSpace is my number one choice for paperbacks. It is easy, it is inexpensive, it is high quality, and your books can quickly be available on Amazon.com. (I did try one other “print on demand” company for a few months before I found my way to CreateSpace, but in my experience, CreateSpace wins on price and ease of use. CreateSpace offers many different size options for your paperbacks – from 5×8 to 8.5×11, the last time I checked. I have done my paperbacks in a variety of those sizes. And you have the option of doing the interior of your books in black and white or in color. Color costs more, of course, but both are economical options. And regardless of what you may read on some blogs or in some books, I think you should make a paperback version of almost any book you’ve completed. As I mentioned, CreateSpace is “print on demand” – so we’re not talking about a garage full of books here, we’re talking about buying at least one. And the books only have to be a minimum of 24 pages – so even some of your smaller book ideas can be made into paperbacks. When I finish a book the first two places I’m going to publish it are almost always CreateSpace and Kindle. Part of that is because both sites are so easy to use, and part of that is because those are the two sites I make the most money on. If you are doing a book that can be read on an e-reader (or these days, on an app on a phone), you should definitely consider publishing it to Kindle. I have some books that are student workbooks, those don’t go on Kindle, but almost any other book I’ve written does go there. There is an option on Kindle, KDP Select, that you choose for each title whether to participate in or not. I plan to have a follow-up post soon just to go into the pros and cons of that program. It’s biggest downside is the required exclusivity (for 90 days for that title). But again, I’ll have to come back to that in a post in a few days. Smashwords is often the third place I publish my books. It is another site for e-books, and I do make some sales there, but Smashwords is actually most beneficial as a distributor of e-books. Thanks to Smashwords I no longer have a separate account to maintain at Barnes and Noble, but my books are available there, as well as on Apple, Kobo, and a whole host of other e-book sites – but all thanks to Smashwords’ distribution efforts, not mine. The only time I don’t put an e-book on Smashwords is if I’ve decided to try it in Kindle’s KDP Select program. My latest novel, Leonardo: A Return to Painting will be in the KDP Select program for at least three months (the shortest time you can commit to it), so it is currently not being sold through any other e-book sites. But my other novels, and many of my non-fiction books, are also published through Smashwords. In my writing, any books that aren’t in KDP Select and might appeal to a homeschool audience, get uploaded to CurrClick. The beauty of CurrClick is that books there are generally uploaded as Pdfs, and since they can be priced as low as $0.50, they can be quite small. CurrClick is my favorite site as far as the additional options they offer – from easily being able to make bundles to being able to send emails to previous customers about great specials going on there. For any and all materials that might appeal to a classroom teacher, TeachersPayTeachers is another great site. I found out about it a few months after I started on CurrClick. My sales haven’t been quite as good there as at CurrClick, but since I can easily add my books to both sites they are still a steady source of additional income. The beauty of all of the above sites is that they are all free to set up accounts on, are all free to publish your titles on (you’ll have to pay a nominal price for the proof copy of any paperbacks you do, but that’s it for charges), and are relatively easy to use. When I started on each of these sites, I had no idea what I was doing, and knew no one else who was publishing through them. All I did was go on each site, find my way through the sign up process, and then started uploading books! When I started on CurrClick, a publisher had to apply for an account (I believe it’s still that way now). But on all the other sites it was just a question of going on the site and setting up an account. I recommend the first five options (when they apply) to all writers who are wanting to publish their work. As I said before, they are easy and inexpensive. And all have great potential for helping you make money from your books, if that’s important to you. This last option doesn’t fall in the same category. Audio books are not as simple or inexpensive as the first five options I’ve recommended. But, now that I’ve recently delved into them, I have to at least mention audio books. I have been enjoying listening to Audible books for several years now, and had long dreamed of “someday” having some of my books available in audio format. But it wasn’t until a narrator approached me in January and offered to narrate one of my books, Understanding Presidential Elections, that I realized just how doable Audible books really are. In fact, I currently have narrators working on two of my historical novels, Leonardo the Florentine and Failure in Philadelphia. I’m not quite the expert in this area as I am in the other methods of publishing, but I am very excited about what we’ve done so far! Stay tuned for more on the Audible experience in a future post. And my number two suggestion – don’t spend lots of money! I’ve met too many people who thought they were self publishing (but really, they were using some version of “vanity publishing” – and usually spending a pretty penny in the process). Don’t be tricked into spending money you don’t need to. Did I leave out any of your favorite publishing arenas? Or leave a basic self-publishing questions unanswered? Let me know.